Set to see only motion by continually showing the difference between successive frames. 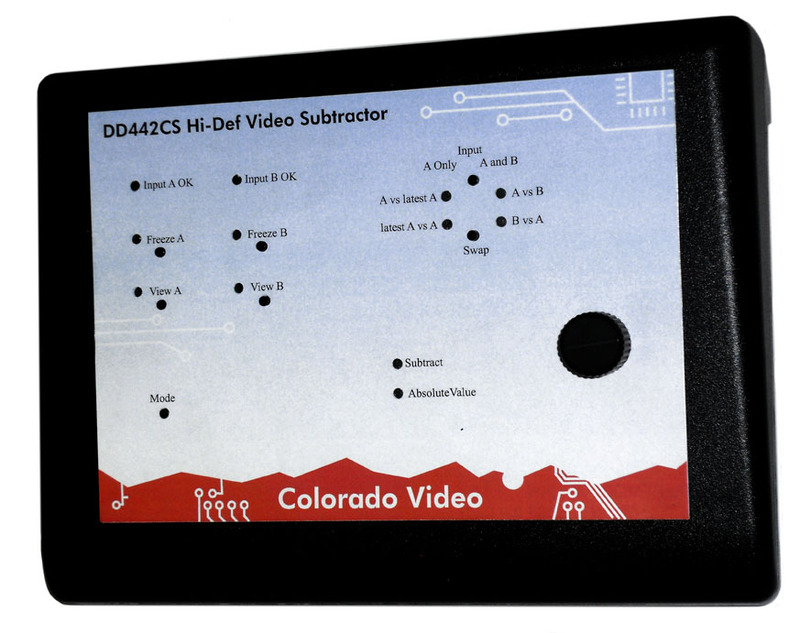 The Model 442 Series Video Subtractor shows the differences between two images on one monitor. Subtract or Compare mode allows you to subtract or compare two video images. The unit performs a video image comparison by subtracting the image stored in its memory from the active picture at its input or subtracting one live picture from another live picture. Comparison (subtraction) of two live video streams is also possible. This mode is very useful for inspection, registration, interferometry, quality control, surveillance and other applications where an easily viewed comparison of two video images can be used for decision making or process control. The Subtract or Compare mode has two selectable output modes. One provides the difference plus 0.5. The other provides the absolute value of the difference. 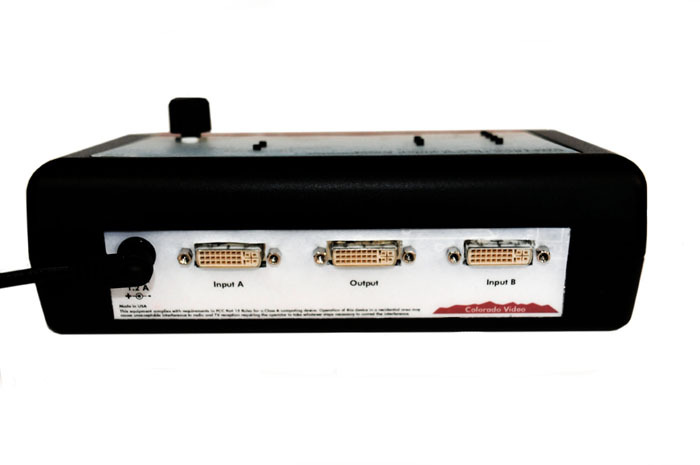 Additionally, a button is provided to invert the output thereby showing the reference minus the input instead of the input minus the reference. A "Difference Threshold" control allows adjustment of the unit's sensitivity to differences. An additional operational mode allows subtraction of each video frame from the previous frame to provide "frog's eye" capability, displaying only motion in the scene being monitored by the input video camera.